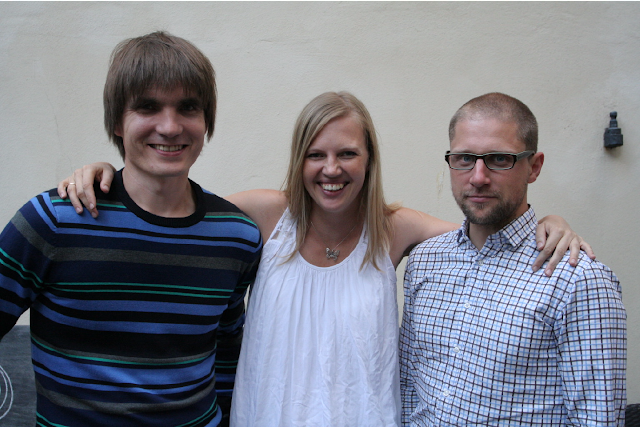 During September we will introduce the awesome participants of the Climate-KIC Accelerator programme who made it to Stage 2 (read more about the accelerator here: http://www.arengufond.ee/en/startup-estonia/overview/cleantech/). Next up: Reverse Resources. Ann Runnel, Urmas Pappel and Neeme Praks cannot stand inefficiency in the textile and fashion industry. Thus, they want to create the first online marketplace where textile manufacturers can share information about their leftovers. Fashion brands, who want to create upcycled clothes, make their design decisions based on that. As if this wasn’t enough by itself, part of their plan is to create a waste inventory tool, so that manufacturers could gather information about their own leftovers as easily as possible. Textile manufacturers can get rid of their waste and fashion companies can be environmentally friendly and upcycle.. everybody wins, yay! By the way, Reverse Resources just got a 20,000€ grant from the Climate-KIC Accelerator Venture Competition in Poland to start their business! I used to take part in such programs and it was really useful! I remember I was just afraid of exams and I found this website about cheating in exams and I use it every time since then.